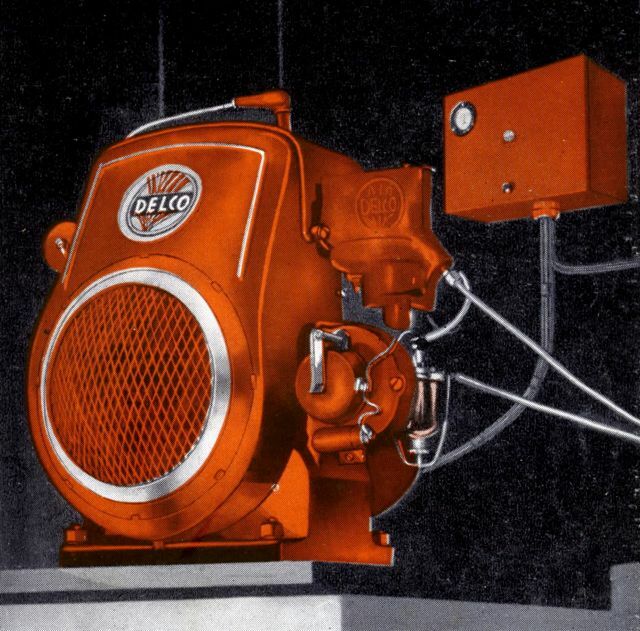 As superior as Delco-Light was in manufacturing and marketing their products the company failed to manage a production serial number system that was decipherable. This created problems when it came to ordering parts as a serial number doesn't mean much unless you already know the model number. Therefore most models have to be identified by sight. The following not a complete listing however it does represent several different models over a broad range. The 300 series models were produced form 1918 to 1926. They are easily recognized by their "wide top" draft tube caps. 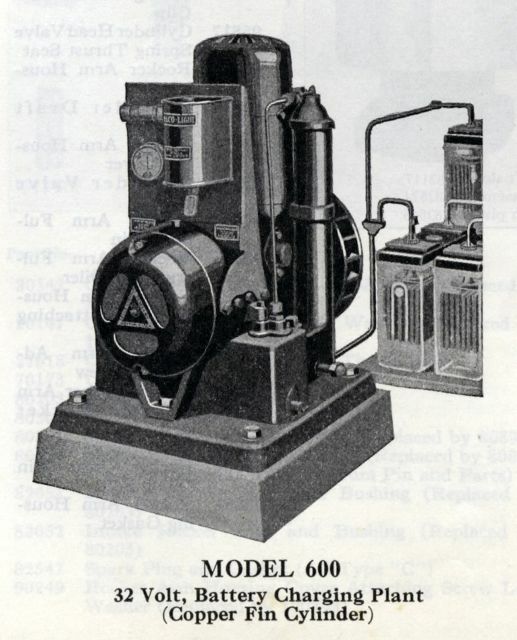 The 600 series models were produced from 1920 to 1927. The cylinder was surrounded with copper fins for cooling. 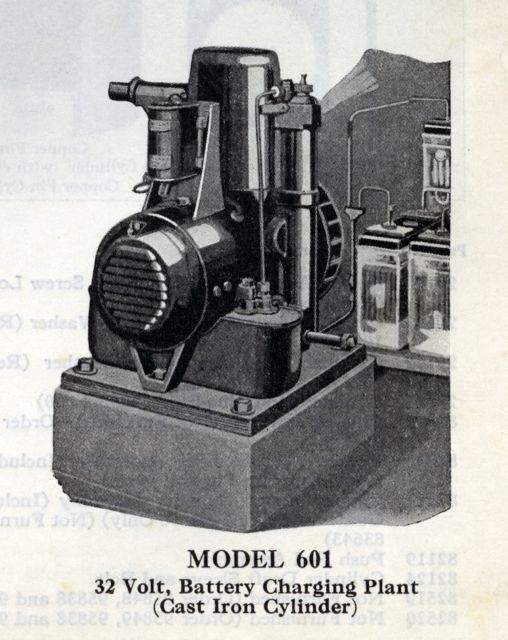 The Model 601 had a cast iron cylinder instead of the copper fin cylinder. 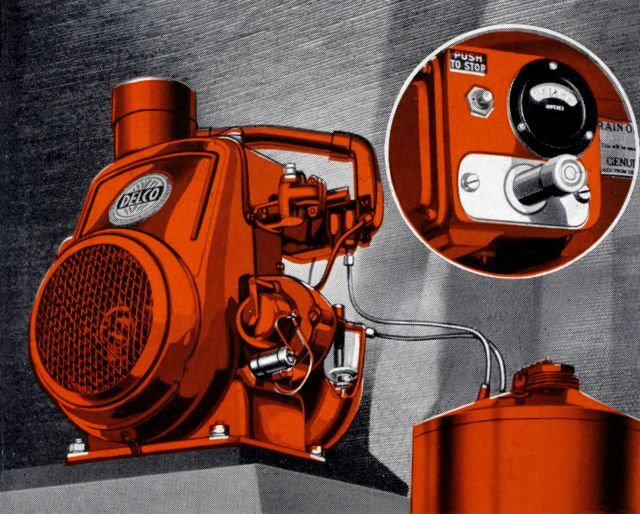 All 600 series models used a mix valve for fuel control. 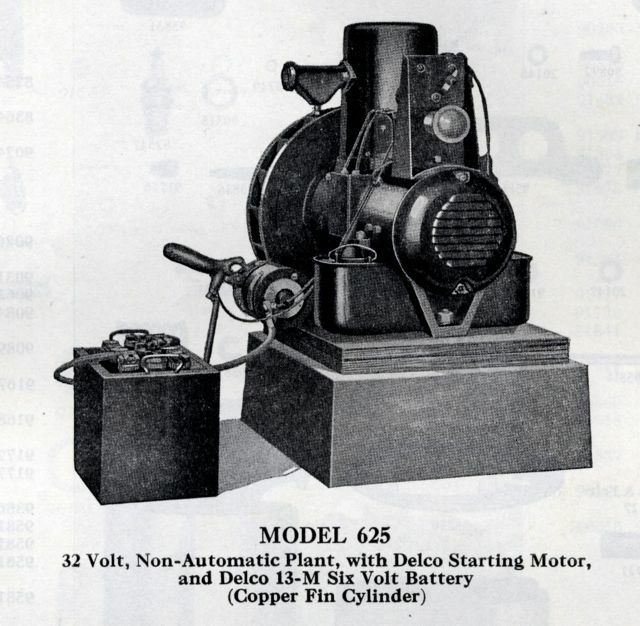 The Model 625 did not start automatically but it did have a 6 volt Delco starting motor. 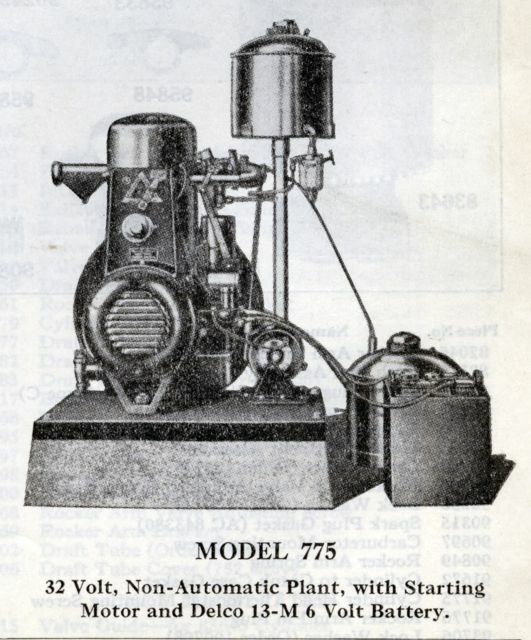 The Model 750 was equipped with fully automatic self starting supplied by a 6 volt Delco starting motor. 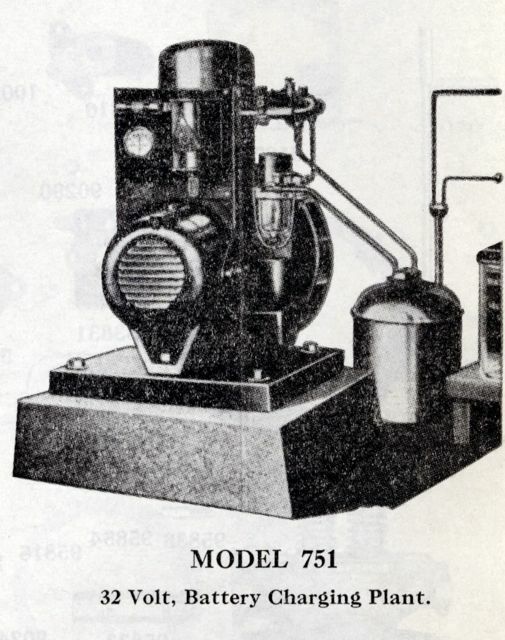 The 700 series models were produced from 1926 to 1929. The 700 series models continued to use the copper fin cylinder design. 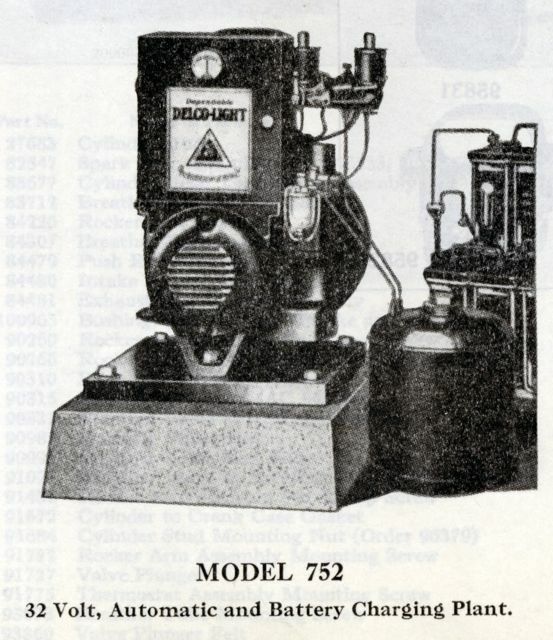 All 700 series models utilized a Zenith carburetor for fuel control. 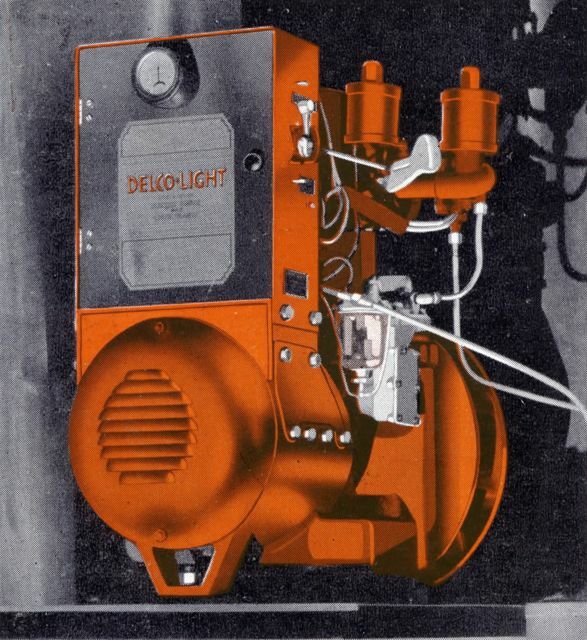 The 850 watt Delco Light Plant is the most common model found. They were produced from 1916 to 1931. 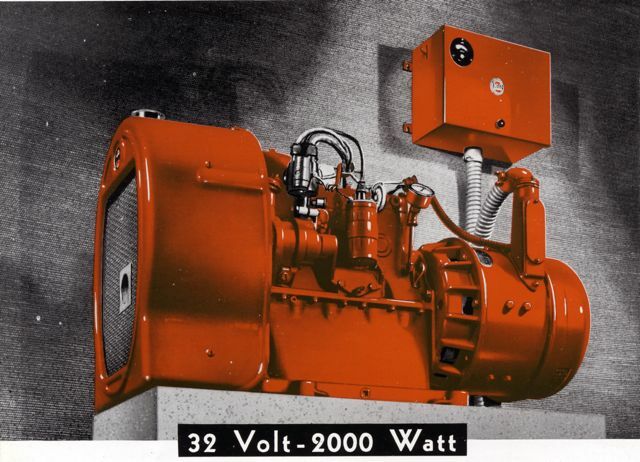 All 850 models used a mix valve for fuel control. 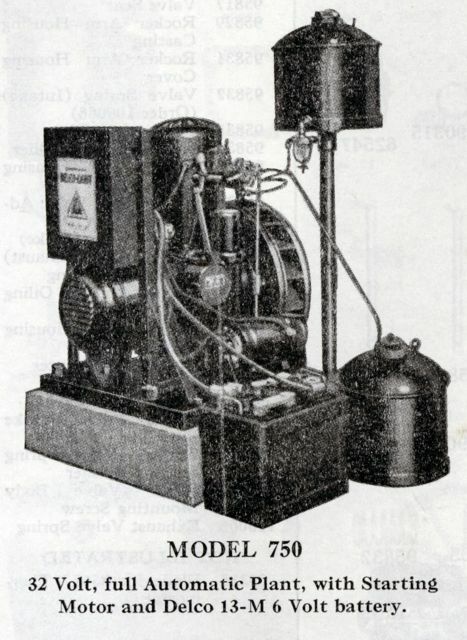 The Model 1250 is also very common. The 1200 Series were produced from 1920 to 1931. 110 volt DC current used on large farms, schools, churches and hotels. 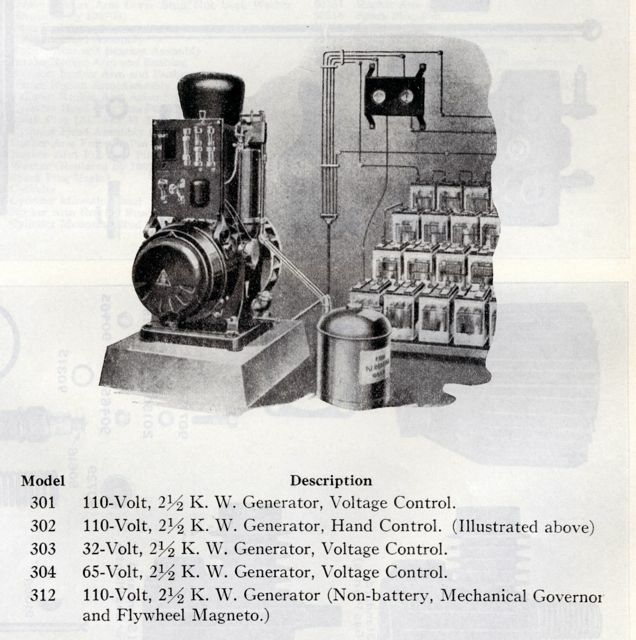 This four cylinder, 4-stroke, air cooled engine-generator weighed 631 pounds. The newly redesigned 6 and 8 series were introduced in 1932. With the flywheel now enclosed in a shroud they could be listed as UL approved. The "new design" light plants came with various control designators including "A", "B", "AB", "HC" and "R". 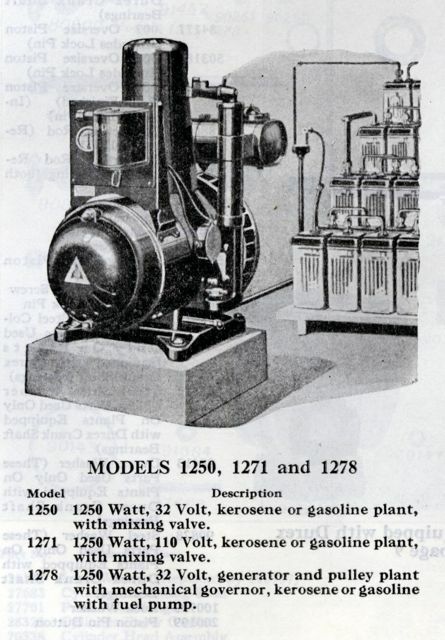 First introduced in 1928 the model 8C3 was known as the combination type light plant. 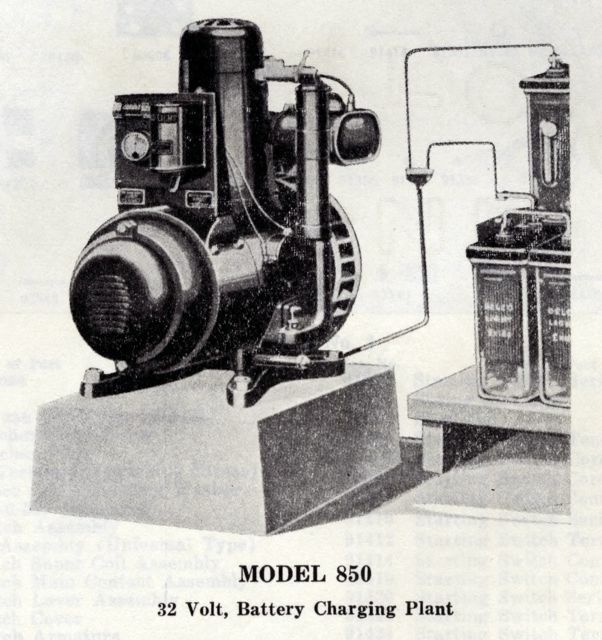 The 20AB3 was powered by a 9 H.P. four cylinder engine. These engines usually found a second life as power units and are often found without the generator.